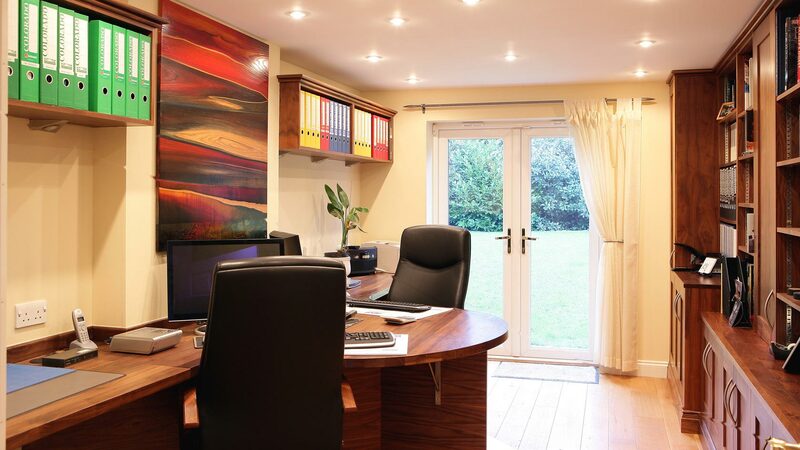 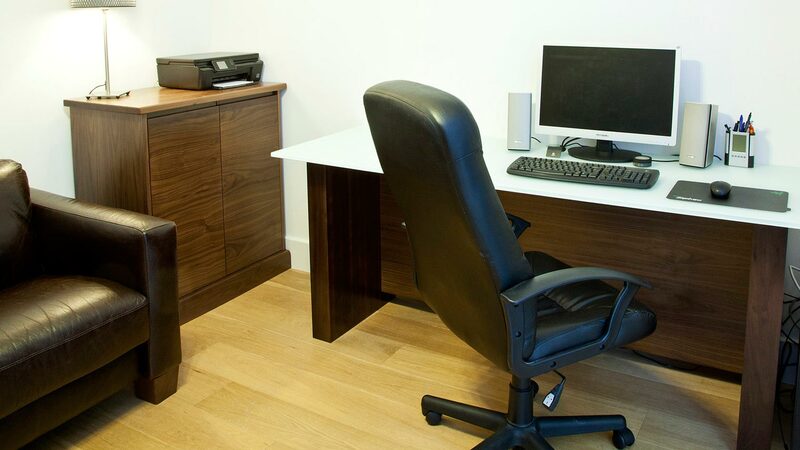 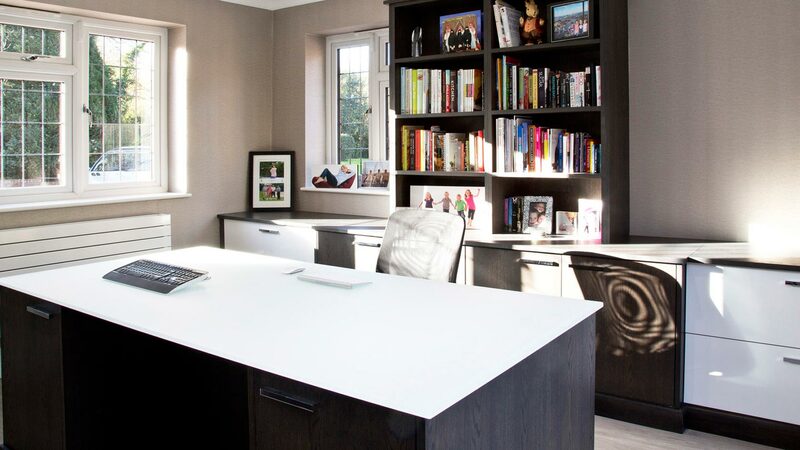 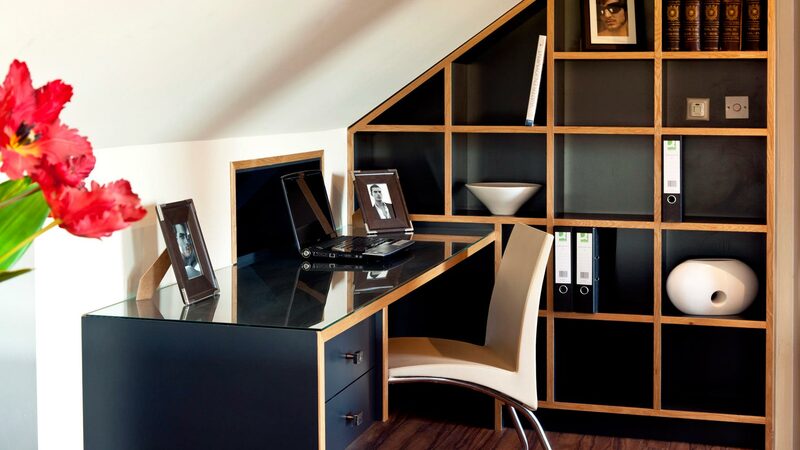 Great British Kitchens & Interiors have been designing and building sophisticated, personal, home office furniture for over thirty years. 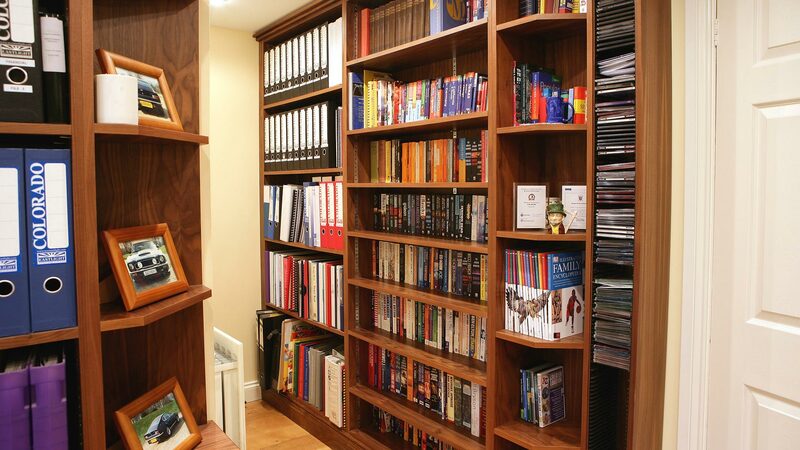 Each bespoke creation is completely unique, fitting your style, needs and desires. 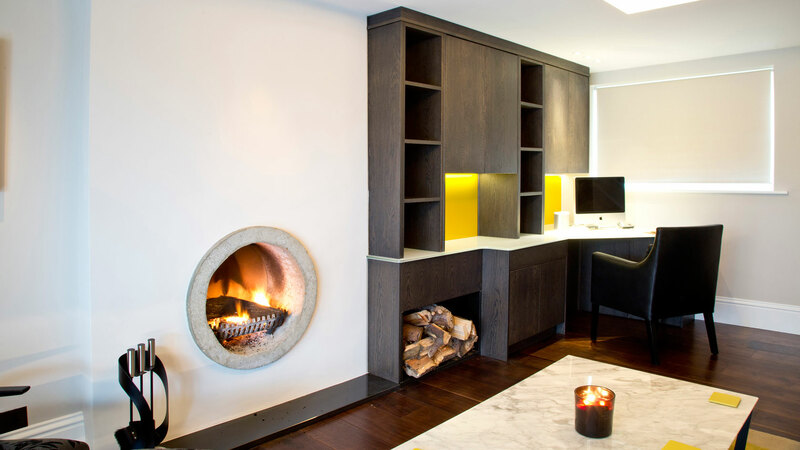 Classic or contemporary, in-frame or lay on/soft close; our projects are tailored to your needs, designed with your own requirements in mind. 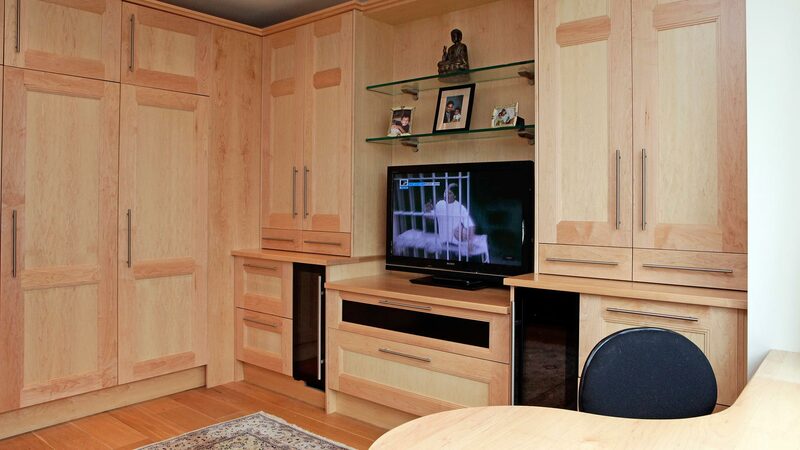 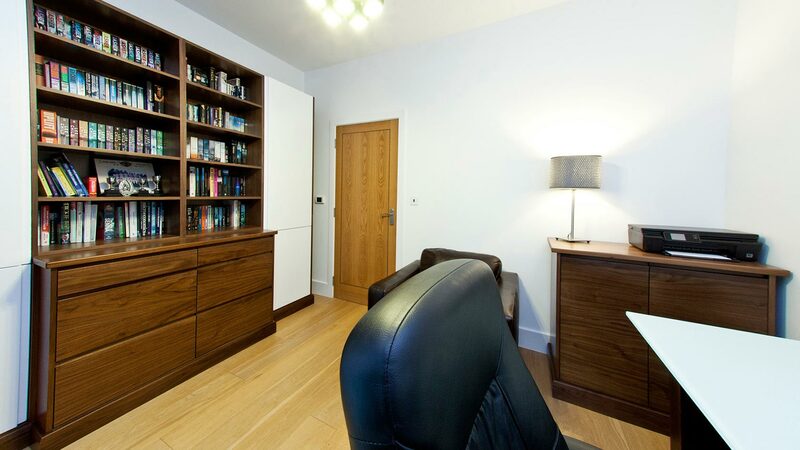 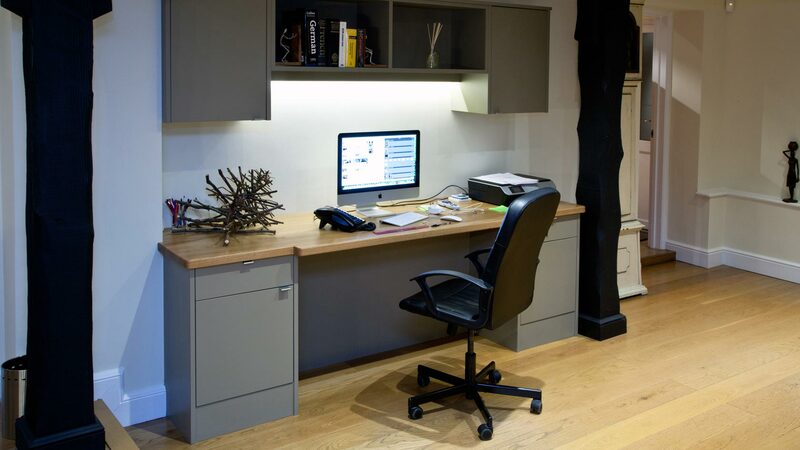 Perhaps walnut slab with engineered J-pull handles and a 12mm back painted toughened glass desk? 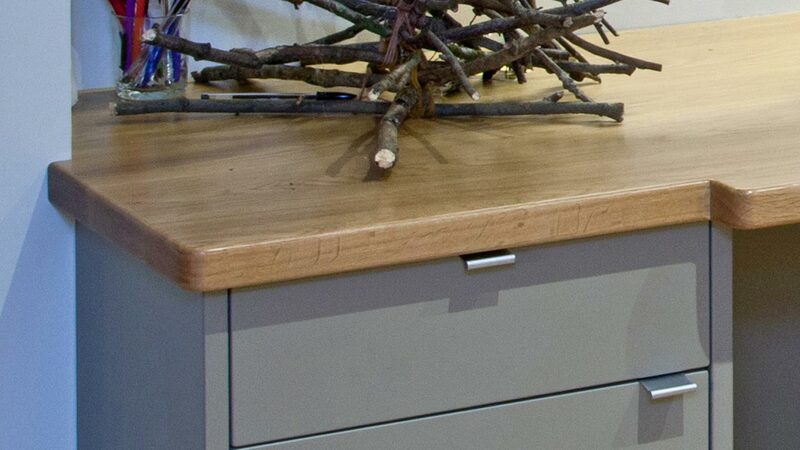 Or painted shaker with 30mm lacquered solid oak? 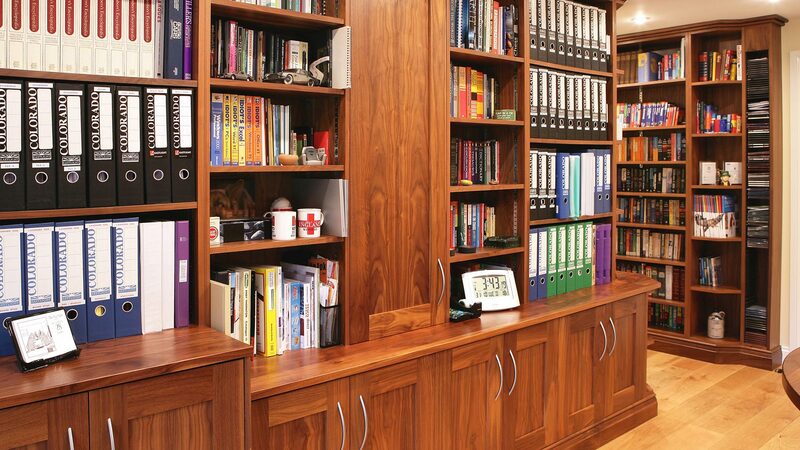 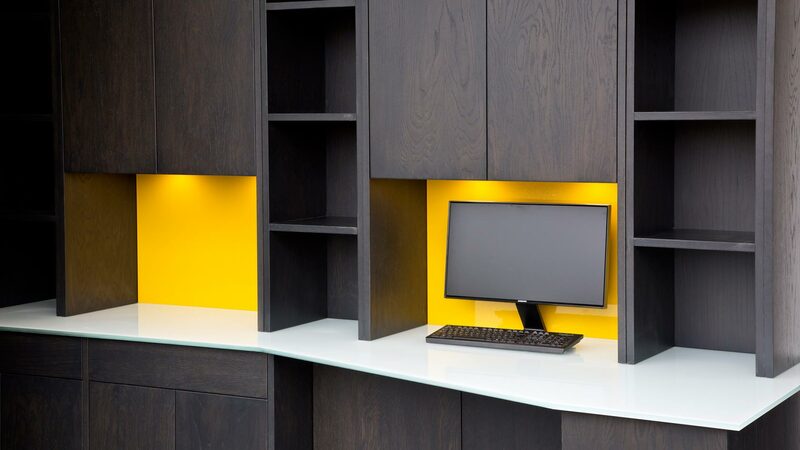 We have a variety of study displays and finishes available to see at our showroom.